Portable speakers are still in great demand by many people, even when the speaker dock for the Apple IOS gadget diligently to appear. 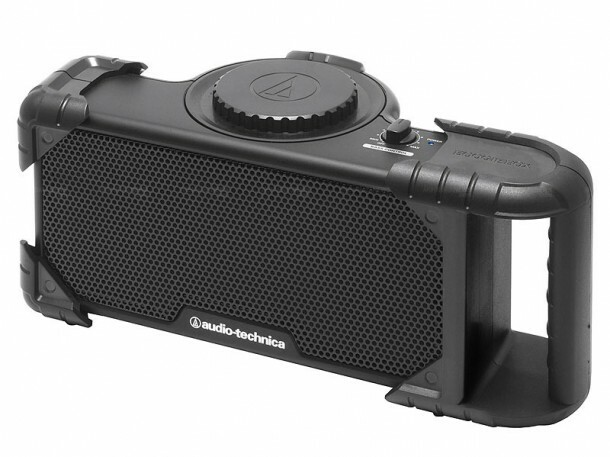 One is the Audio Technica have just released the Audio Technica AT-SPB30. For those of you who do not have an iPod or iPhone, portable speakers Audio Technica AT-SPB30 may be an alternative. 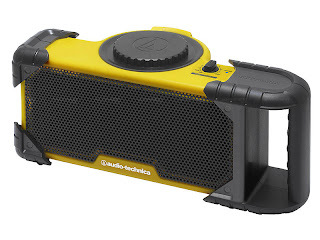 Especially for those who are want to possess a portable speaker to boost the loudness of a digital music device they own. Audio Technica AT-SPB30 weighs about 630 grams. With a relatively light weight, there is speakers with 2W x 2Ch +3.6 W output and a 47 Ohm impedance level. Battery endurance is also quite good because it can be used up to 40 hours with only 4 AA batteries. Audio Technica AT-SPB30 presented in two color choices are black and black and yellow combination.